This week the Brachymyrmex in my yard seem to be all over the sweets. 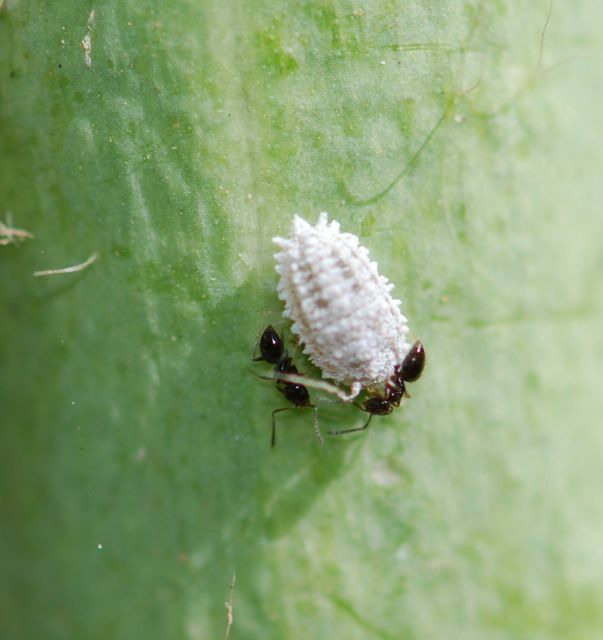 First they were tending the mealybugs. Then they were visiting the extrafloral nectaries on the barrel cactus. Peering through the cactus spines is always a challenge. 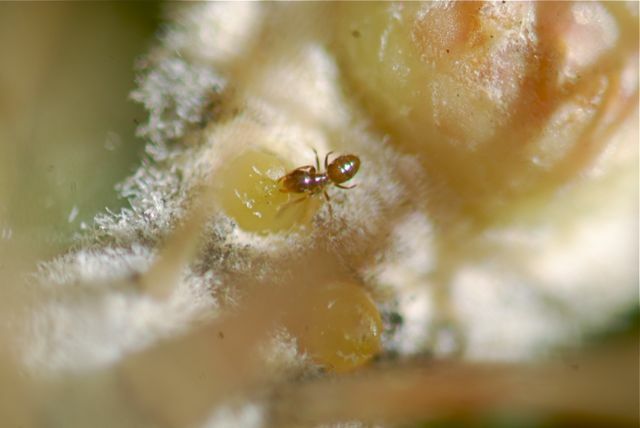 Speaking of extrafloral nectaries, a friend of mine brought to my attention an article about ants piling sand on the tops of barrel cacti. The author, Tom Gatz, states that others have been seeing this behavior as well. He concluded that perhaps the ants were using the soil to sop up nectar from the extrafloral nectaries. If you’d like to see the original article, it was published in the Desert Botanical Garden’s Volunteer Newsletter. Scroll to the bottom of the volunteer page for links to .pdf copies of the Gatherings newsletter. Right now it is the link labeled as “current issue,” which is October 2010. In the newsletter, the article is on page 5. Interesting article. I wonder if the sand piling is defensive? 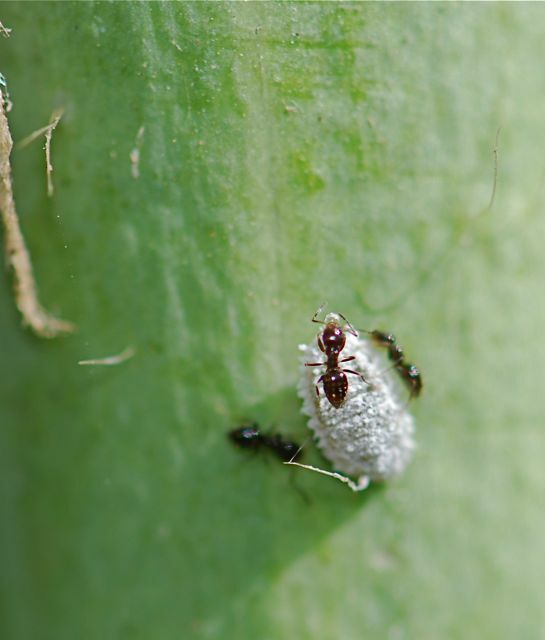 I guess it could be protecting the ants from molds growing in the excess nectar, too. I haven’t seen this yet on our barrel cacti, but I’ll be sure to keep an eye out. Have you seen ants piling sand on plants?